The benefits of physical activity are enormous. They are essential for health and play a significant role in the development of children. There is the other side of the story too. 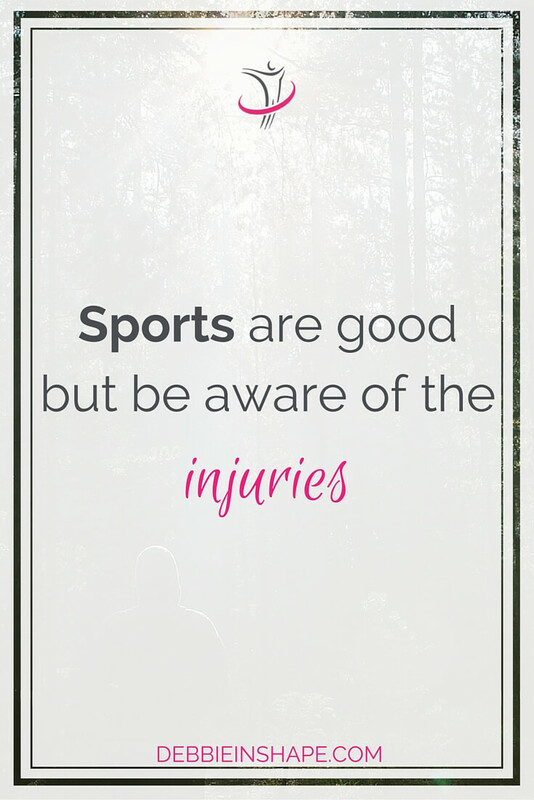 Sports are good but be aware of the injuries. Last weekend, I heard some news on the radio that surprised me, and I decided to look for statistics. 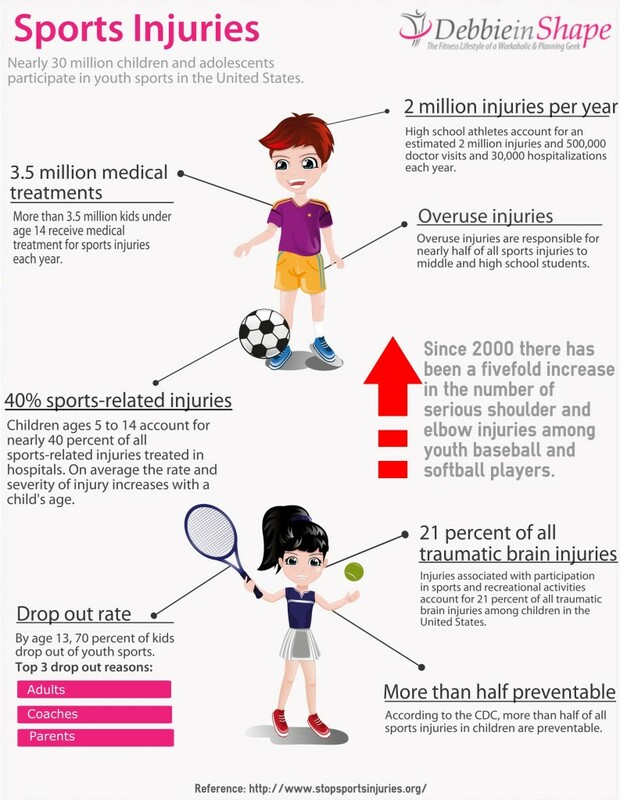 Even though I couldn’t find the details about young athletes in Belgium, this data from Stop Sports Injuries from the USA are close to the reality here as well. Performance training prepares athletes to compete at their best level. Their focus is on the improvement of particular muscle groups. Repetitive exercises and boring routines are a reality also for young athletes. Some trainers fail to realize that this old fashion way of working out is doing more damage than good. The problem is even more severe when it comes to kids because their body is still developing. If the damage is done to their physical structure now, it’ll hunt them also in their adult life. Many times we see stretching time turns into chat time. When it comes to kids, they haven’t even settled yet and are just going through the movements without paying much attention to it. It is then that coaches and trainers play a significant role. Stretching the muscles is key to preparing the body for the physical activity that comes afterwards. If one can include SMR (Self Myofascial Release) before it, even better. Being able to work in a full range of motion is essential to top sports performance, and proper stretching contributes to it. It’s through the warm-up that the body gets ready to the specific exercises that are going to be practiced on that day. The whole body must be “awake” to perform at its best, yet the focus should be given to the particular body parts trained. Let’s say that a training session will focus on “throwing” passes. It can be in baseball, basketball, handball, just to name a few sports. The warm up can start with running some yards to speed up the heart rate. Still, shoulder’s mobility should be included on the warm up as well. Once practice is over, it’s time to take a shower and run home for dinner, right? No, not before a proper cool down. Like the warm up, the cool down allows our heart rate to drop back to resting rate properly before we return to our normal activities. Static stretching exercises and SMR (Self-Myofascial Release) is the best combo. With consistent cool down you’ll also notice a significant reduction of DOMS, Delayed Onset Muscle Soreness. It will not take more than 5 or 10 minutes of your time, but will undoubtedly make a significant difference in the long run. Needless to say that if you want to run faster or longer distances you’ll have to run more. By repeating the same movements, we become specialized in them, and that leads us to better and better performance. There is a trick, though: our body must be in balance. As a runner, you have to run, but you cannot forget all the other muscles of your body. I’ll use running as an example. Many people choose it above other physical activities because you can practice it anywhere, at any time, at low cost. Still, one should not neglect other muscles such as the back, hamstrings, and the hips (oh the hips…). That is why adding other activities can support you in your favorite sport too. Now you know you should be doing “something” else besides to your sport of choice even as an amateur athlete. But how can you fit another activity when you already have your own, plus work, family and a life outside track, field or gym? For that, I highly recommend that you hire an experienced Personal Trainer to support you. Only a qualified professional can provide you the necessary guidance. With periodization, you’ll be able to be active all year round. During the off-season, you will work on strengthening your body. A little before and in-season, the focus will be in sports performance. Right after the season is over, recovery will be key. We all love sports and want to be able to be physical active until our older years. These days, we see more and more athletes performing above the 60s, 70s and 80s! It’ll be great if also the little ones get the same opportunity. That is why taking care of their growing body down now is so important. 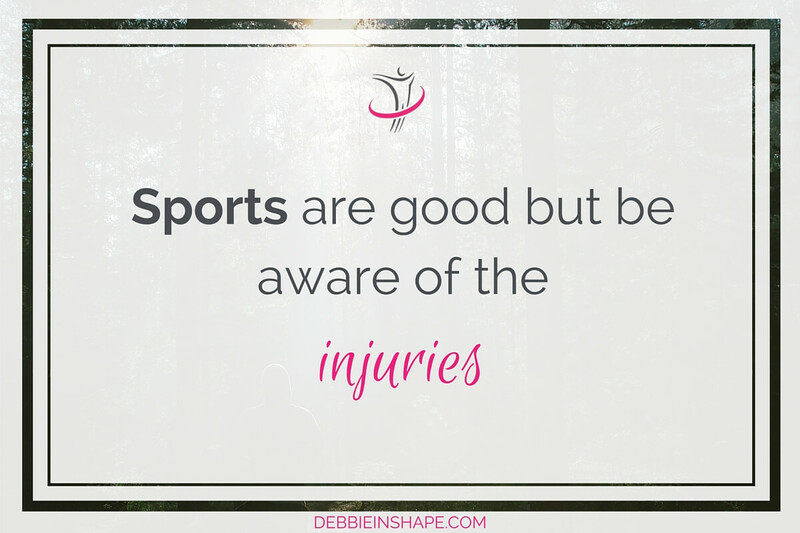 Sports are good but be aware of the injuries. Prevention is key! 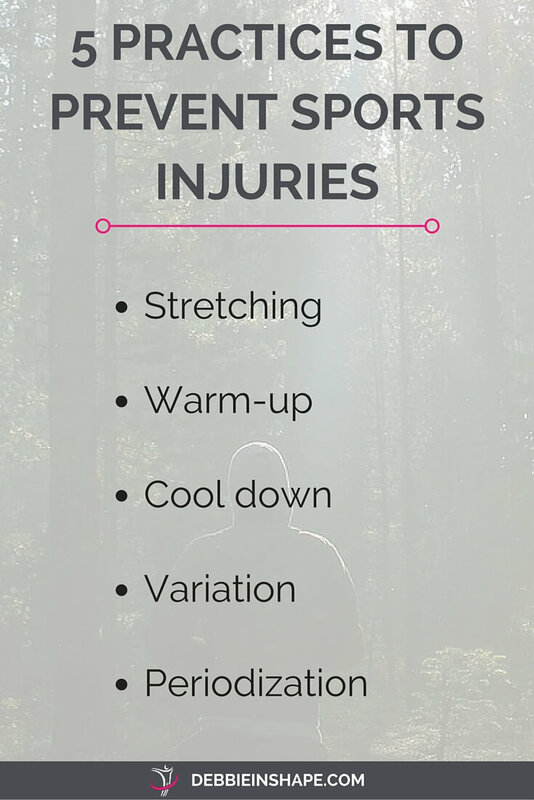 What measures do you take to sport injury free?